May I bring to your attention the excellent service provided by Ben, who guided me through all the paperwork with efficiency and good humour. He was knowledgable and friendly, and did not hesitate to get advice from senior colleagues on points upon which he was unfamiliar. Looking for a new Ford Grand C-Max for sale? For those interested in purchasing a new Ford Grand C-Max at an affordable price, look no further than Bristol Street Motors. At each and every one of our dealerships, we have a wide range of Ford cars available, which includes the spacious Grand C-Max. With a relaxed but well informed dealership approach, we strive to take the stress out of looking for and buying a new car. At Bristol Street Motors, we also have excellent facilities as well as various finance options, meaning you won�t find better Ford Grand C-Max deals elsewhere. 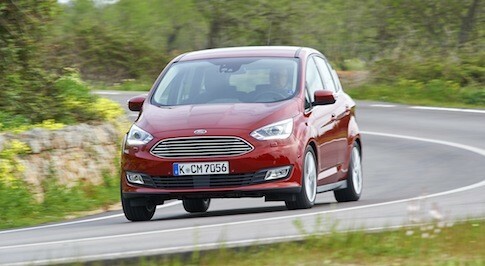 The child-friendly, seven-seat Ford Grand C-Max is a firm favourite with lots of families. However, sharp handling and a comfortable ride mean that the driving experience is an enjoyable one too. Even the entry-level Zetec models come with impressive features such as alloy wheels, air-conditioning, rear parking sensors, and stability control. The economical EcoBoost and diesel engines also mean running costs are kept to a minimum. If you choose to visit Bristol Street Motors for a look at the Ford Grand C-Max, you will be greeted by our team of friendly, approachable, and knowledgeable staff. In addition to answering any questions you may have about the car itself, they will also be on hand to provide assistance or advice about pricing and finance options. But don�t just take our word for it, drop by a Bristol Street Motors dealership in your area to find out how we can help you find that perfect Ford Grand C-Max.